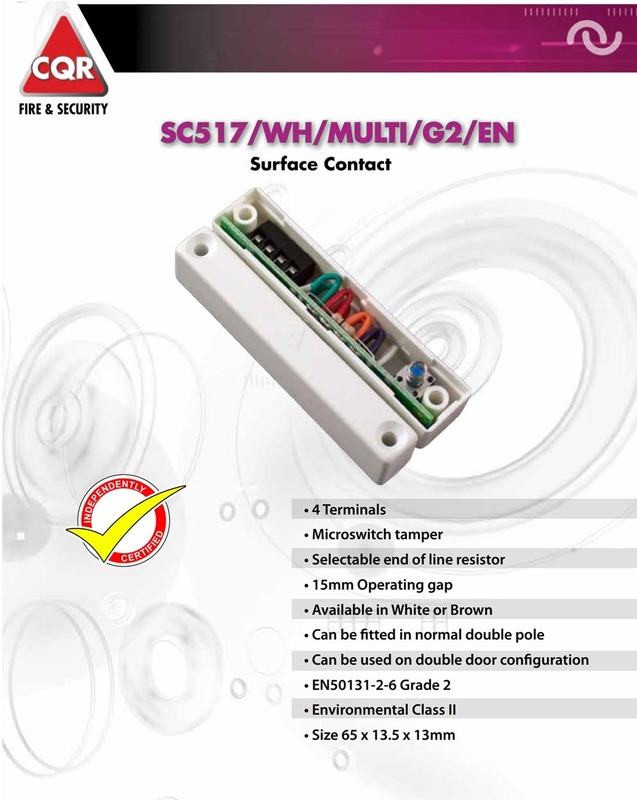 The SC517/WH/MULTI/G2 Grade 2 Surface Door Contact with Selectable EOL Resistor are suitable for use in Grade 2 systems. These contacts are required to have a mechanical tamper and/or be potted/sealed. End of Line (EOL) resistors are an option but are not a requirement to meet Grade 2. A range of contacts in plastic and aluminium which can be surface mounted and which will suit most domestic and commercial installations.